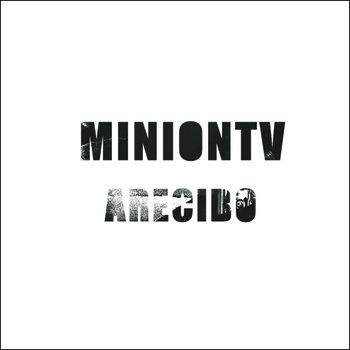 MinionTV are a 5-piece atmospheric instrumental rock band from Liverpool. Arecibo is their latest self released EP. It is named after the observatory in Arecibo in Peurto Rico. They released an amazing album last year and this follow up is just as good. Consisting of 5 tracks spanning 22 minutes. The tracks vary in length from just under a minute (Send) to over 7 minutes (Arecibo) After many many listens I thought that Arecibo was my favorite track then it changed to Keep The Negatives then it was Tomorrow Will Bring Bulldozers. I guess what I am trying to say that this is an amazing release and the only issue is that it is all over in 22 minutes. But then that gives you time to really decide on that favorite track, or in my case change that decision after every listen. The packaging is also rather smart. It really is a captivating listen if you like atmospheric, cinematic instrumental music. Go check out MinionTV, I guarantee you won’t be disappointed. This entry was posted on November 22, 2011, 10:15 pm and is filed under Playlists. You can follow any responses to this entry through RSS 2.0. You can leave a response, or trackback from your own site.